Last Friday, Punxsutawney Phil popped his head out of his hole and declared six more weeks of winter. While we wait for the snow and ice to thaw and for spring to arrive, curl up with your little reader and a copy of UGI’s February Little Reader Pick, Ten Grouchy Groundhogs. Written by a school psychologist, Kathryn Helling, and kindergarten teacher, Deborah Hembrook, Ten Grouchy Groundhogs is a laugh out loud tale about a den of groundhogs eagerly awaiting the end of winter when they can finally come out of hibernation. This exciting and engaging tale uses alliteration and number fun to teach your child about counting and number sequencing while being enjoyable for the whole family. TEN GROUCHY GROUNDHOGS is a hilarious countdown story about a den of grouchy, grubby, gobbling, gabby, giggly, groovy, graceful, glitzy, gleeful, groggy groundhogs getting ready for their great big day. Find a copy of Ten Grouchy Groundhogs for your little reader at your local library, today! At UGI Utilities, we are deeply committed to children’s literacy. Studies have shown that children who are not reading at grade level by third grade will experience significant difficulties throughout their lives. Today’s students will be tomorrow’s business and government leaders, employees and customers. 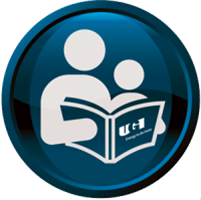 Check back each month for new Little Reader picks and follow @ugi_utilities on Twitter to see our volunteer readers in action. Have a suggestion for a Little Reader Pick? Let us know in the comments below.